This week on the Daily Bible Verse Blog we have been looking at the importance of thanksgiving. Thankfulness is a hallmark of a true Christian. Almost anyone can be thankful when everything is going well, but Christians are to be growing in an attitude of thanksgiving in every situation. This takes a spiritual perspective—the ability to see things more as God sees them. Though not everything that happens is something to be thankful for, a Christian is learning to see beyond the present suffering and to thank God for His eternal goodness and the end result of His great purpose and plan. This allows us to give thanks in everything. When we truly believe that “all things work together for good” (Romans 8:28) and that “the testing of [our] faith produces patience” that makes us “perfect and complete,” we can “count it all joy” (James 1:2-4) and give thanks even when we face various trials. “An Old Testament example of this was when Job lost his money, his children and his health. He blessed the name of God in spite of his personal tragedies, not because of them. Nothing speaks more powerfully of a walk with God than continuous thankfulness” (The NKJV Study Bible, note on 1 Thessalonians 5:18). 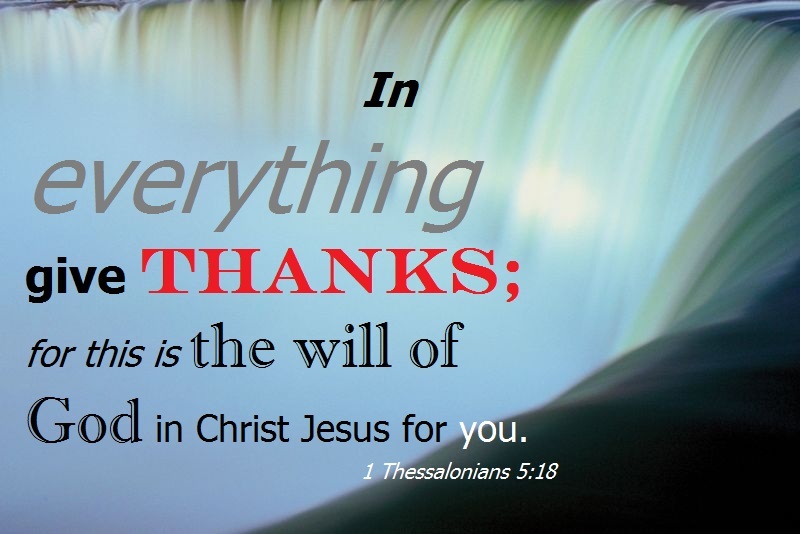 Why is it God’s will that we give thanks? Because it helps us to become more like God and helps us develop His perspective and His character. Ingratitude and covetousness are the antithesis of God’s nature. Thankfulness grows out of a godly mind-set.